Children’s creativity is endless. Little ones are able to imagine things that go beyond expectations. If kids engage in writing from an early age, they will be able to expand their creative potential. Children have a natural tendency to notice and observe the world around them; writing is a fun way for kids to express themselves and build skills at the same time! Needless to say, it won’t be easy to teach a young one to write. It will take more than providing a piece of paper and a pencil, and leaving everything else to natural tendencies. This skill requires a lot of practice to be developed, so it would be best to start as early as possible. 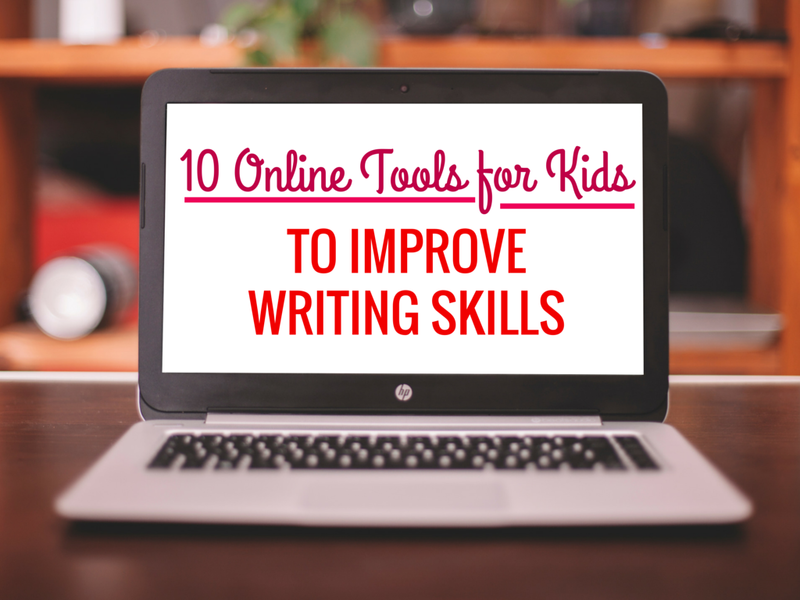 The following tools will help you make writing easier for your child. This online tool covers the basics of the essay writing process by showing children what each of the five paragraphs should to contain. Once your child makes enough progress, they can continue practicing with the Writing Worksheets that the site provides. There are five fun essay writing activities provided for free: Rules of Writing an Essay, Essay on Twin Towers Devastation, Autobiography of My Favorite Thing, Picture Writing, and Essay on Mom. This website provides fun resources that teach young children how to write and understand written content. The lessons are taught through short cartoons and interactive exercises. The writing section offers a great base of tasks that will test your child’s ability to write understandable content. Interactive activities are an important part of the learning process. This website provides effective exercises for grades K-12. Preschool age children can also benefit from this tool using their Story Map and Learning About Language games. This is an awesome website dedicated to the art of writing. It offers resources on fiction, poetry, nonfiction, art, and photography. In addition, Teen Ink provides summer programs and camps for teenagers. The essays featured on the website provide inspiration for learners who want to improve their writing skills. EssayMama offers great tips and guides on writing, as well as fun articles that inspire children to express their own thoughts in written form. This isn’t the most visually stunning website, but that doesn’t make it any less useful for parents and instructors. A list of links guides you to online resources that will be useful at any stage of the learning process. You can explore the basic steps of research, character development, the 5-paragraph essay, picture book projects, the 3-step creative writing process, and much more. You will also find awesome games that teach writing through fun activities. This is a mandatory website for parents and educators who want to teach writing effectively. You will find links to resources organized in seven categories: Writing Skills, Writing Sentences, Writing Paragraphs, Writing Essays, Writing Mechanics, Standardized Testing Writing, and Teaching Writing. Some of the most useful tools this website provides are the graphic organizers and fun exercises for each category. This website provides a collection of simple essays, short paragraphs, project works, poems, and speeches for children. You will find great essay topics for kids ages 6-10. Try assigning some of these topics on a regular basis and you’ll see how your child makes step-by-step progress. Each sample comes with an assigned target age group, so you won’t confuse your learner with content that’s too complicated for them to understand. Good sample essays for young children are not easy to locate. This website is a great source of content in four categories: narrative, persuasive, expository, and descriptive essays. Start with the featured essays, then dig deeper to find inspiration on different topics. When your child starts writing more, encourage them to take part in the site’s weekly essay contest. Winners are published in the mini essays section. As your child makes progress in the art of essay writing, it might be difficult for them to limit the thoughts that they put on paper in a clean sentence. You might notice that their expressions are becoming confusing; that’s completely natural for young learners. Hemingway Editor is a great tool you can use in such situations. It analyzes the sentence and provides a readability score. In addition, you will see all confusing sentences highlighted in yellow and red. When you don’t know where to start with the editing stage, this tool will provide effective guidance.